What is Green Building and why it matters? "Green building" is the latest media buzz in the construction industry. As professional builders, we at Ainslie Group welcome the attention brought by this important topic. We take it though, with some reservation, because true green building is a far more complex issue than that portrayed in the media. News spots and magazine articles usually focus on insulated windows, roof-mounted solar panels, high-efficiency furnaces, or recycled flooring. Certainly, those products provide measurable benefits in terms of energy savings and improved use of natural resources, but genuine green building is much more complex. A Green Builder uses a systematic approach to design, construction, and on-going operational durability, in which the sum of the benefits are far greater than the individual components. A Green Builder also knows how to personalize the green building approach to address each homebuyer's needs and budget. They must carefully balance the value that the client places on the benefits of green building, with other available choices that have been proven performers for new home construction. It is true that all homes (and all buildings) leave an environmental "footprint." The materials used in new construction come from natural resources, such as trees, metal ores, even oil. The important goals of green building are to reduce the amount of natural resources required to build a house, and then lessen the amount of energy used by both the home and its occupants. Energy efficiencies achieved over the life of the home further reduce the natural resources needed to produce electricity and natural gas as future energy sources. In addition to natural wood, flooring choices include low-VOC carpeting for better indoor air quality, laminates that successfully mimic scarce hardwood and linoleum, a natural product making a design comeback. To achieve those goals, we look for building materials, products, and systems that make the best use of every natural resource harvested. 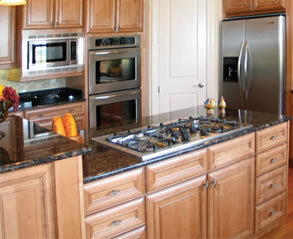 They must perform better than the traditional products utilized by most other builders. 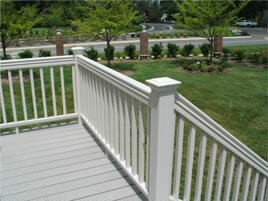 Recycled plastic lumber and wood composite materials for decks, porches, trim and fencing reduce reliance on chemically treated lumber. For example, an engineered beam uses smaller, fast-growing trees, and twice as much of each log can be utilized compared with a comparably sized "glue-lam" beam created using traditional methods in a sawmill. An engineered beam, which resists warping better, is also designed to span longer distances, which can virtually open up interior spaces. The structural envelope is one of the most important areas to apply "Green" expertise. Building a house that is free of even the smallest gaps provides minimal air infiltration, which prevents wasting energy and increases overall resource efficiency. Various green building certification programs are now available to help builders create more sustainable and resource-efficient homes. As we review them, however, we often find that our advanced building practices, developed over the years, actually exceed the standards. In addition to energy-saving GE™ appliances, our homes are outfitted with the # 1 requested form of heating systems, high efficiency natural gas heating for your space and hot water. This is good news for Ainslie Group clients and owners because it means we're already providing a high-performance home – i.e., a home with many green features – without adding to the existing cost or price. 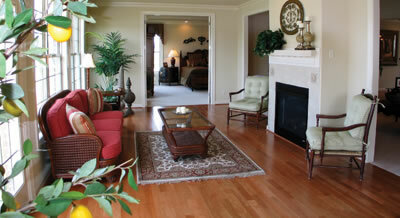 Of course, a client may choose to add additional features as budget, needs, and passion for the environment dictate. With a systematic approach to sustainable or green building, we can build a new home that not only leaves a small environmental footprint, but also delivers convenience, comfort, safety, and a high level of value for its owners. At Ainslie Group, we have been learning, developing and improving on these technologies for over 30 years, and will continue to "tighten the envelope" for each and every home we build! 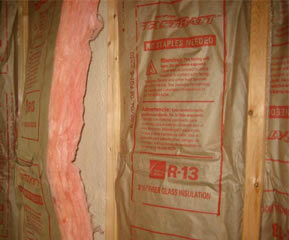 All Ainslie Group homes feature R-38 Insulation in the ceilings & R-13 insulation in the walls for the ultimate in comfort & energy conservation. 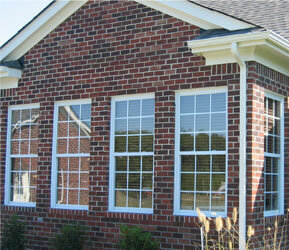 Our windows feature tilt-in sashes with 5/8” insulated glass providing for both ease in cleaning and energy efficiency. An average house has between 70-200 square inches of air leaks; we also polyseal and caulk the entire house to help minimize these leaks. 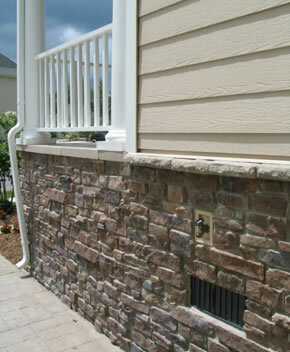 Our Homes are wrapped with either Brick, Stone, Fiber-cement or Vinyl Siding or a combination of any of these materials and feature 30 Yr Shingles and Standing Seam Metal roofing as indicated on the various elevations.